Capacity:50-520t/h Applied material:granite, basalt, bank gravel, bauxite, cement clinker, quartz silicon carbide,limestone, river stone, etc. Application:mining, metallurgy, building materials, highway, railway, water conservancy and chemical engineering. 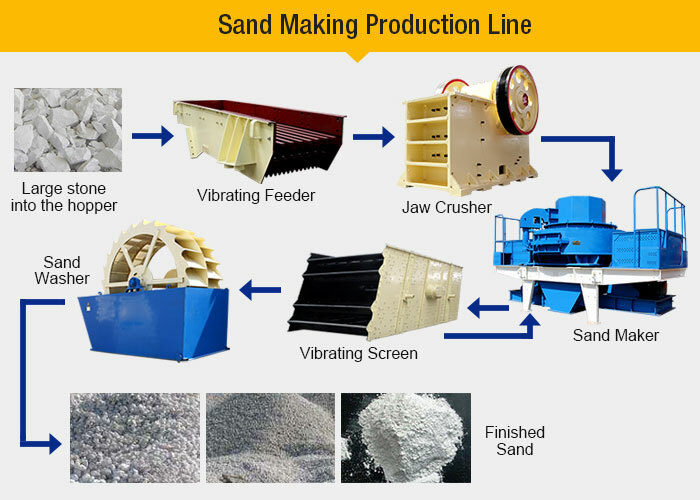 The sand production line is a special device used to produce construction sand and stones and it can save as much as 50% of the energy compared with the traditional sand makers. 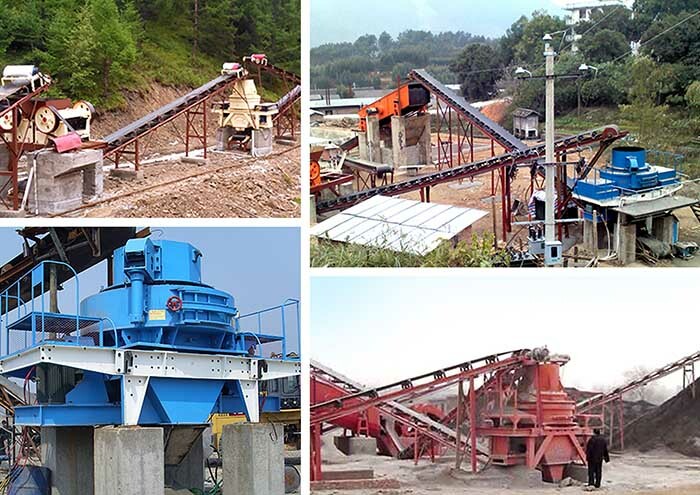 The sand making plant can make stones, sand and pebbles to construction sand with all kinds of fineness featuring uniform particle and high compression strength. 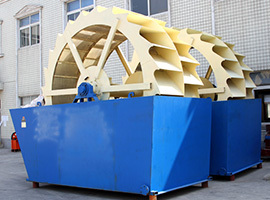 They are more suitable for the construction than the natural sand and machine made sand produced by the ordinary hammer sand maker and it can improve the construction quality. The sand production line has the advantages of reliable performance, reasonable design, simple operation and high efficiency. 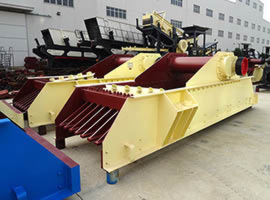 The sand making equipment or sand making line made by Fote is made up of vibrating feeder, jaw crusher, sand maker, round vibrating screen and high efficient sand washer. 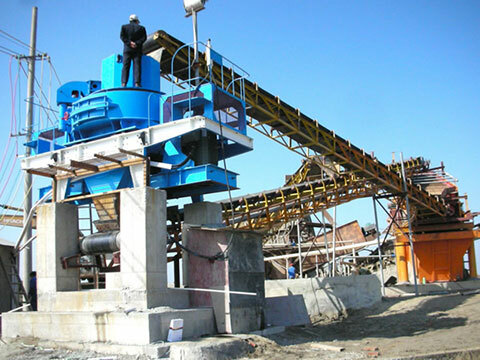 The adoption of the advanced centralized control makes the operation of the whole sand making plant smooth, reliable and high efficiently. 1. 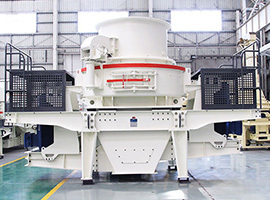 Stones are conveyed via the vibrating feeder to the jaw crusher for rough crushing process and then they are crushed further through the sand maker. 2. The fine materials are then separated by the vibrating screen and then are washed by the sand washer. After the washing process, we get the finished products. Materials that don’t meet the required particle size will go back to the sand maker for further process. 3. The finished products can be rearranged and graded according to customers’ demand. 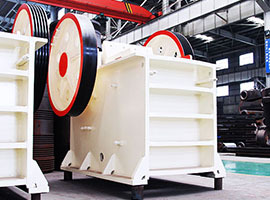 For the dry type production line, we usually add the coarse and fine powder separator and dust collector.